Good morning! Tomorrow begins a new series of devotionals! 10 posts to help us all reflect on this year and prepare for the next. 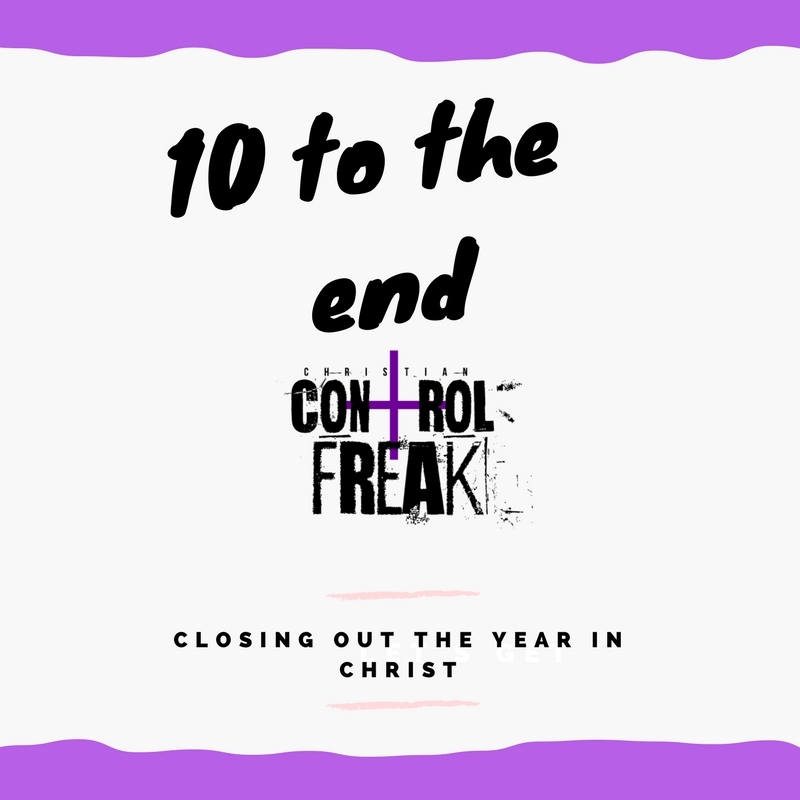 These posts will also lead up to celebrating 1 whole year of Christian Control Freak! Despite some challenges and setbacks, It has been a great year for the blog and it’s because of all of our followers. Please join us as we close this year out, begin a new one, and celebrate a year of devotion and inspiration. Lastly, be on the lookout for a very special announcement and a contest! Very exciting things coming your way! So so grateful for your readership! A lot of us say we have a plan. We say we have goals in mind and we’re doing everything we can to reach these goals. We say we have plans and goals but what we really mean is that we have an idea of how our life is supposed to pan out and if anything outside of what we expected happens we won’t know how to handle it EVEN if that same goal is still attainable. When I say “we” I of course mean myself. When I have a plan for anything, it includes my expectations of how this plan should look as I’m working toward the end goal. Sometimes when I end up in a place along the journey that I never expected or planned for, instead of trusting that God is still going to bring the plan placed on my heart to fruition, I get frustrated because this part of it was never in my plans. My frustration tends to be what throws off my plan. I see where I want to be and I see the date by which I had planned to be there and then I see where I am. Instead of rising to the occasion and just pressing forward right away, I often spend time sulking over the fact that this is never what I had planned. In Jeremiah 29, Jeremiah is writing to God’s people while they are in exile in Babylon. They are in a place they never planned to be but God uses Jeremiah to send them some encouragement. Although they are in a foreign land God tells them, through Jeremiah, to basically make themselves comfortable. To operate in the way they would if this was their own land and to continue living out their lives for God because God knows what he’s doing. I’ve included a link to the entire passage but there are two verses that particularly blessed me. Seek the peace and prosperity of the city to which I have carried you into exile. Pray to the LORD for it, because if it prospers, you too will proser. If you’ve ever found yourself having to live in a place you never imagined you’d need to live, or take on a job at a place you never desired to work this verse will get you right together. Sometimes we hate these setbacks so much we totally disregard them and treat them with minimal respect. Right here in this passage God says, wherever you are, whether you meant to be there or not, you need to be praying for that place to prosper because you’re there and if that place prospers, so will you. So let’s not huff and puff about how much we hate the place or the job. Instead, do it well, take care of it, and pray for it to prosper at your hands so that God can bless you. This is a blessing for obvious reasons. It’s so encouraging to know that even if you find yourself in a place of discomfort, you can always trust that God has your best interest at heart. God’s true desire is to bless us so that we are able to tell others about it. Regardless of where you are currently, our future is important to God and God wants us to find hope in that. So my challenge for us today is to look at where you are and know that God is still able to bless you right in the place where you never intended to be. Not only is God able to bless, God WANTS to do so. So let’s check our attitudes about it and start helping God cultivate the very blessings we wish to see right where we are. Stand in the confidence that God has a plan for what’s going on and pray for the place where you stand that just so happened to be outside of your plan. Few things compare to the feeling of praying for something and even putting forth effort to work toward it, only to have it fall through. You pray, you work, you claim it, you move forward as if it’s already yours and eventually you’re deflated when that thing doesn’t come to pass or doesn’t turn out the way you wanted. Then you spend days and nights asking God if this is some cruel joke. Pleading with God to tell you why you weren’t allowed to have this one thing you really wanted and that you worked so hard toward. As Christians, many of us are taught that whatever we ask God, if we ask it in Jesus’ name it will be given to us. We’re essentially taught that God is here to provide for us so the formula goes, tell God what you want and God will give it because he loves us and that’s what he’s here for. Although, it is true that God is our provider and that God loves us and wants us to be happy, it is also true that God is the authority. God isn’t a genie whose sole purpose is to pacify us by giving us everything we want but that’s sometimes how we treat God. We often hear an abbreviated version of the above verse to support the idea that God is here to please us. But “God will give you the desires of your heart” is only half the scripture and it comes with a condition. The verse begins by telling us to take delight in the LORD. That doesn’t simply mean to be happy about Jesus. It means to get to know Jesus and to be excited about who Jesus is in your life. 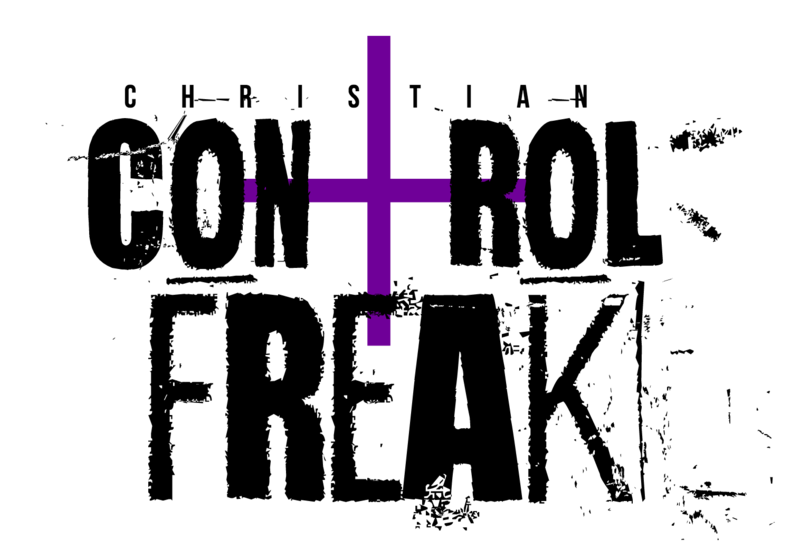 Get happy about the fact that Jesus is LORD over your life. LORD is an Old English term used to refer to someone who had power and authority over land and the people who worked on it. Jesus being LORD of our life means that he has power and authority to not only give us what we want, but to decide what we should have. As control freaks, this sounds like a bad deal. What’s the point of being able to ask things of someone who is all powerful if they can just not give you what you asked for? I want what I want, when I want it. The good news is that Jesus loves us and someone who truly loves you only wants what is best for you. Jesus has the power to give you the desires of your heart but the desires of your heart need to be in line with what is best for you. Not only do we ask God for what’s on our hearts, we first have to open ourselves to allow God to literally place desires in our hearts. To replace our selfish desires with ones that serve our best interests as it relates to our purpose. So, when asking for anything, the first thing we need to ask is what the LORD desires for us. The closer we can get to Jesus, learning what our purpose is and what kinds of people, places, and things support that is the first step to receiving the desires of your heart. So when we are disappointed not to have received what we asked for, ask “was that person, place, or thing in my best interest? Is it something that would help elevate me in my purpose?” Sometimes the answer to that is a clear “no.” Other times, maybe what we asked wasn’t anything bad, it just wasn’t what God would have for us. But you can always trust that if God has our best interest at heart, for every “no” there is a yes that is greater than what we would have asked for. The challenge today is before we ask God for a specific thing, ask God to enter our hearts and remove what’s contrary to who God is in our lives. Then we will be able to delight in the LORD and he will give us the desires of our hearts. I once listened to a Christian comedian talk about his understanding of his relationship with God. I wish I could remember his name, but his message is something I will never forget. He talked about how he had gone many paths in life but everything he had ever done eventually lead him exactly where he needed to be. He said that God’s love, grace and mercy are like our GPS. When you’re using a GPS and it is giving you turn by turn directions, when you happen to take a wrong turn the GPS doesn’t just turn off and quit trying to direct you. Instead, it sees what you’ve done and immediately begins rerouting to take you where it originally intended for you to go, just using a different route now that we’re a little of course. He said he believed that though he hasn’t always gone where God would have wanted him to go, he was always headed toward his purpose because God’s love, grace, and mercy are perfect and were always leading him there. The later part of the lyrics is in reference to Luke 15:4 which says “Suppose one of you has a hundred sheep and loses one of them. Doesn’t he leave the ninety-nine in the open country and go after the lost sheep until he finds it?” to basically say that each of us is valuable enough to God that God would look for us when we are lost. So not only is God guiding and directing us, God is chasing us down when we’re too lost to even know we need guidance. As people who like to control every aspect of our lives, we have to admit that we sometimes get ourselves in over our heads. We have a period when it looks like everything is going according to our plan and we often neglect our relationship with God and start to do our own thing, only to realize we don’t have full control and things were much better when we were doing them with God. The idea that God sees this and doesn’t leave us hanging to just figure it out on our own is a true example of selfless love. Of course God sees what we do and knows that we have a tendency to get beside ourselves and abandon our relationship. But thankfully God is not like us and doesn’t hold that over our heads. Instead, he’s chasing us down, never leaving us, sticking right with us until we’ve found sense enough to turn around and acknowledge him in our lives. The challenge today is to be sure you’re beginning and ending your day with God. Include God in all your plans for the present and future. Allow God’s purpose to lead and guide you even in your daily life so that you stick close and are careful not to abandon the relationship. God has already shown us that he will never leave us and continue to chase us until we’re ready to have him. But let’s make a conscious effort to stay close. One of my biggest pet peeves is to give someone detailed instructions and they still complete the task incorrectly. I understand communication very well, so when I give instructions I try to think of every question a person might have in regards to the instructions in order to be sure the instructions are very thorough. So when something is not done according to the instructions I gave, it triggers my control freak defense mechanism that says “see, I knew I should have just done this myself if I wanted it done correctly,” even though I know I would have been overextending myself which would have only lead to further complaints. It’s even worse when you know the reason the task was incorrect is because the person did not read all of the detailed instructions I took time to make clear for them. I was thinking to myself, I know that God is perfect and patient, but how many times have I taken that for granted? Now, one could interpret this literally as it pertains to the condition of your human body. But for the sake of today’s devotion, let’s think about this in a broad sense. As Christians, we are supposed to make ourselves available to be of service to God at all times, living our lives in perpetual sacrifice to him. This includes sacrificing our time. Sacrificing time, as a Type A person, is a big issue for me but I’m understanding how important it is to dedicate time to doing the work of God’s will, as it is our purpose, and doing it in a way that is holy and acceptable. It does take a lot of time spent with God to properly understand the instructions we’re given. How many times have we cut our prayer time shorter or skipped a study session in order to make more time to do something else we had planned to do? This is the exact same thing as the very scenario described above. If you have accepted God as the authority in your life, you are saying that you will complete the assignments given to you in a way that is acceptable to God. But we shortchange God when we do not sacrifice time to spend with God. We cannot read all the instructions or know what will be acceptable to God, if we do not take time to get to know God and spend time learning what his will is for our lives. We can’t say a quick prayer in the morning or bless our food on its way to our mouths and think that will be enough to complete our assignments well. This does not mean God will have the same reaction to us that we have when someone doesn’t follow instructions. However, with any relationship, you don’t want to be the partner who can’t be trusted to follow through. Think about how disrespected we feel when someone cuts corners on something that is important to us. So today, let’s reflect on our sacrifice. Are we truly concerned with the quality of effort we are putting forth toward our purpose? Are we truly concerning ourselves with our efforts being acceptable? Or are we just giving God what we have left after we’ve done all the other things that are important to us?